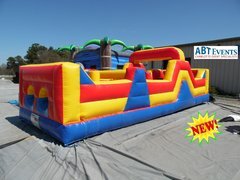 Get your team or church group together, because it's time to rumble through the challenge of ABT's Obstacle Courses. 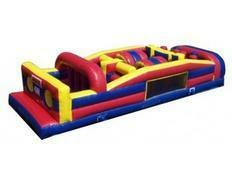 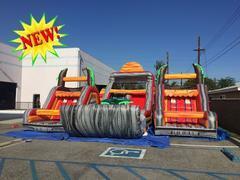 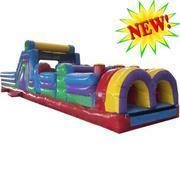 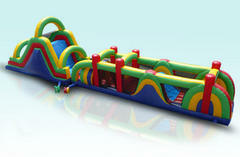 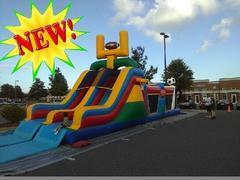 These inflatable units present a variety of challenges to player as they, climb, crawl and navigate their way through popup obstacles and log walls. 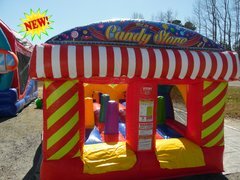 Not only are these unit a great centerpiece attraction for any event, but they also offer a great fundraising opportunity to schools, church's, and other non-profit organizations looking for tools to assist in their fundraising projects. 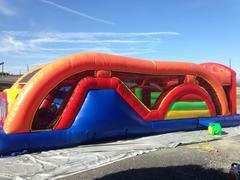 It doesn't matter the age, young and old love the thrill of testing themselves on our obstacle course rentals. 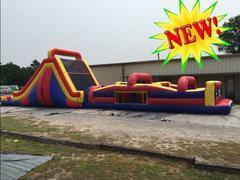 Browse the selections below for your favorite, and click on the title or image for more rental information larger images and videos. 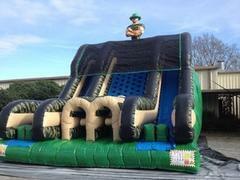 Kid in a Candy Store 40ft Obstacle - Sweet!